Philadelphia’s destitute could seek medical care at the Philadelphia Dispensary. 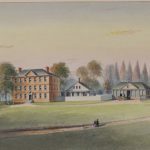 Established by Benjamin Rush in 1786, the Dispensary was the nation’s first walk-in charity health clinic. 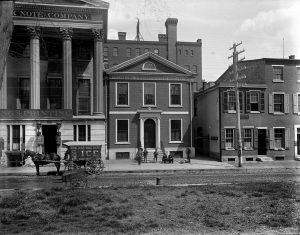 It was located on Fifth Street near Sansom Street. This photograph is of its second building, completed in 1801. 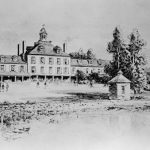 The Philadelphia Dispensary provided both inpatient and outpatient services, but refused to treat patients with venereal disease or delirium tremens, a side effect of alcohol withdrawal. 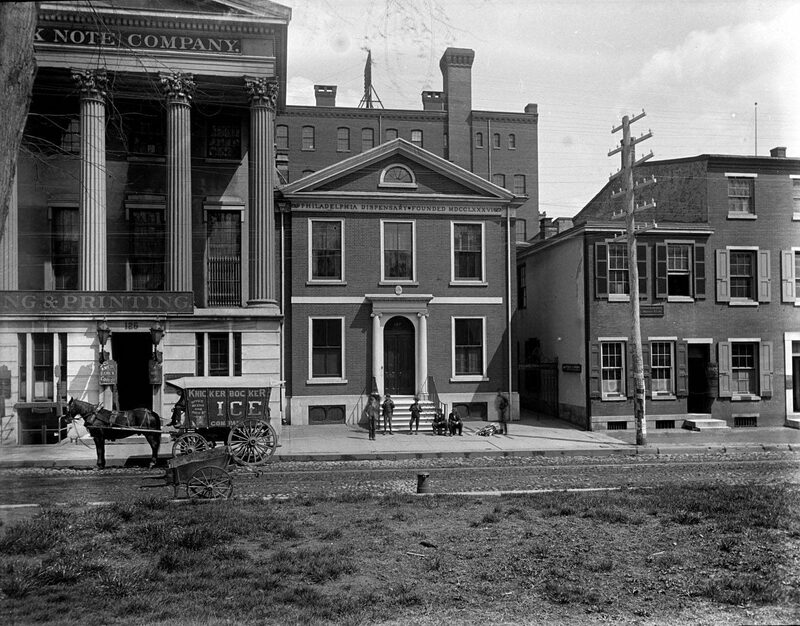 The building was demolished in 1922 and the site is now part of Independence National Historical Park. Posted by Lucy Davis on August 11, 2016 at 2:38 am. Bookmark the permalink. Follow any comments here with the RSS feed for this post. Trackbacks are closed, but you can post a comment.